This has always been a popular mani for my blog - it really took off on pinterest this year, and a lot of people pin it on their wedding looks boards. :) The original post is from September 2014. 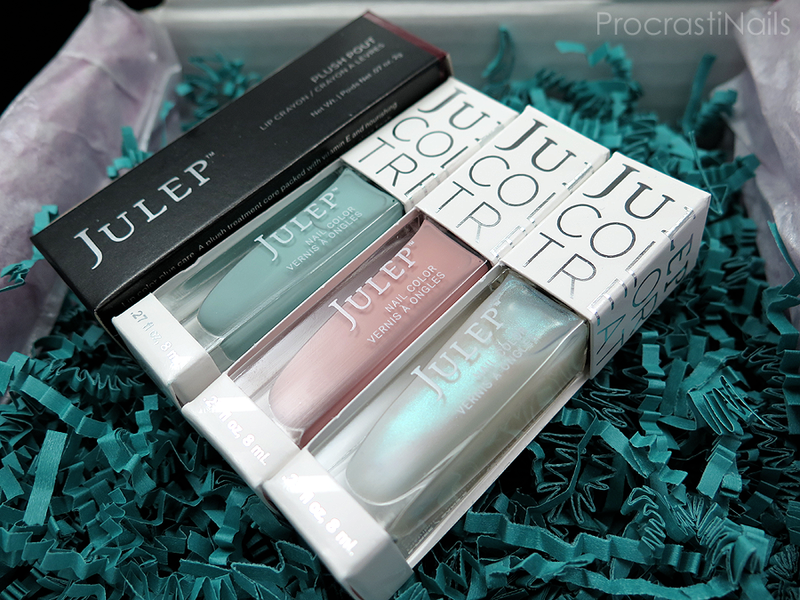 4) My Julep Maven (January 2015) Customized MyMaven Box Unboxing, Swatch and Review! I don't know why this particular unboxing post was so popular but it was! I think it might have something to do with the special (at the time) Metamorphic Top Coats that came in each box - there were three different ones that could get put in your box and everyone wanted to see what the other two options were. The original post is from January 2015. The hits for this one started shooting up around the time people would start looking at advent calendars for 2015 (so mid-fall). It makes sense you would want to see what was in the previous calendar before purchasing for this year! The original post was from December 2014. 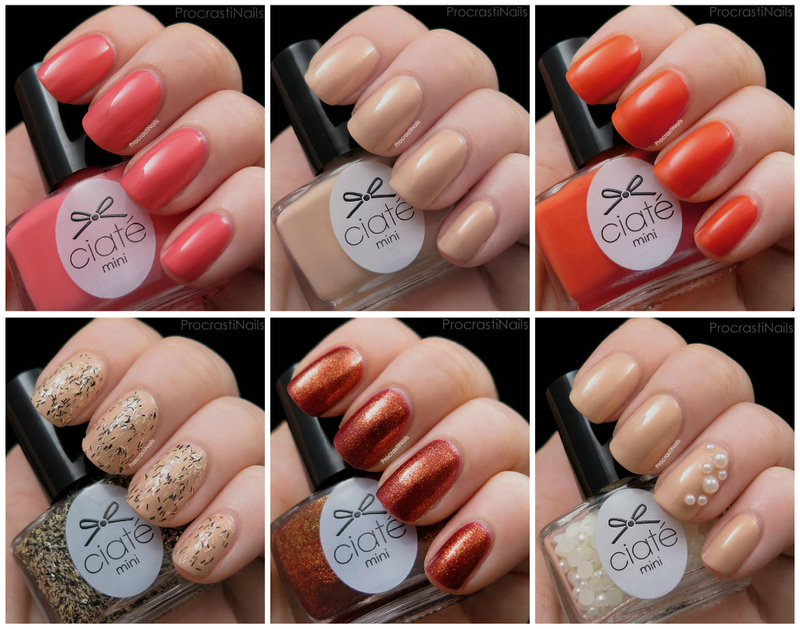 I adore this collection so I was so happy to see it was my second most popular post this year! 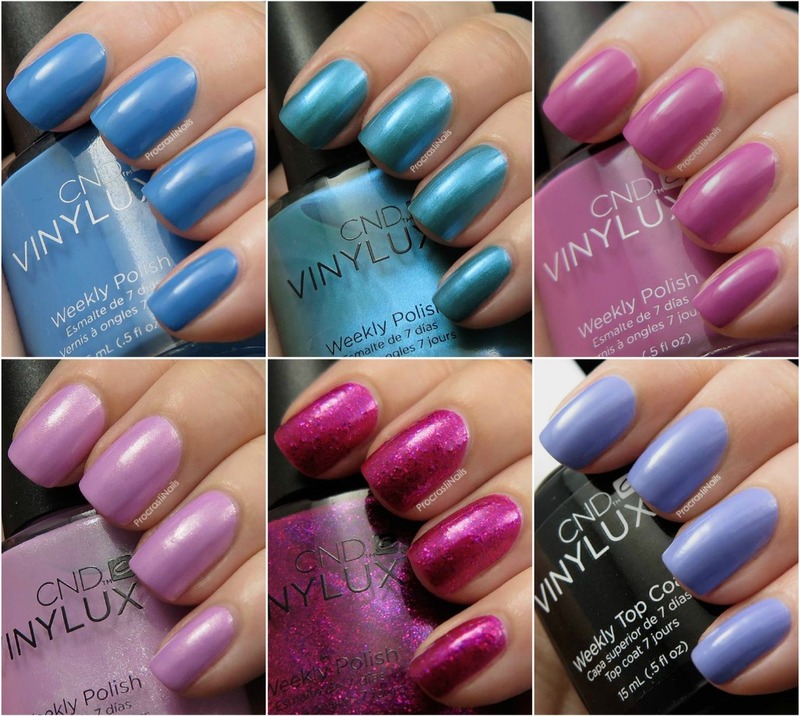 This was my first try with the CND Vinylux line and I was really impressed. It didn't hurt the colours were right up my alley! This post was from May 2015. And the number one post from this year has been at the top of my hits since I posted it! 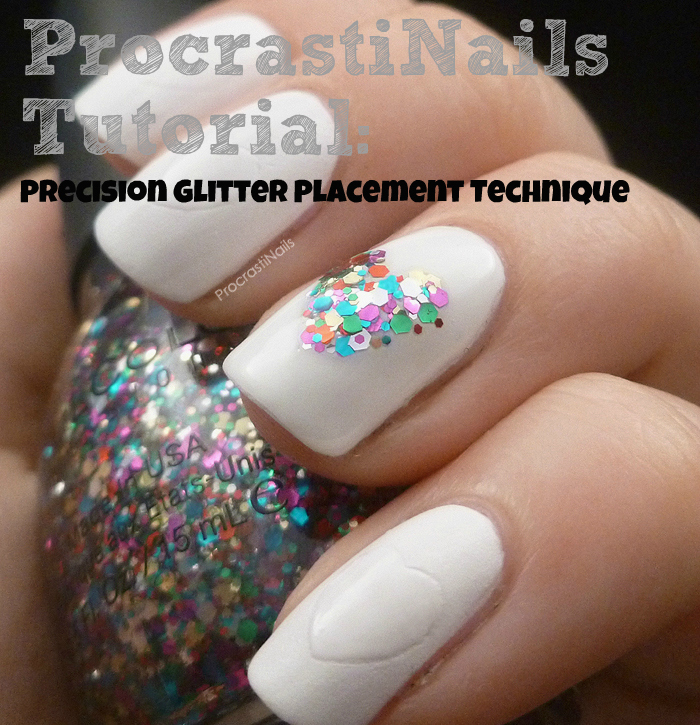 This is my tutorial for placing glitter with precision using a plastic cuticle pusher. It was a really fun tutorial to put together and I'm pleased people still like it now! (Chances are unless you're reading this a few years down the road this is in my recent popular posts in the sidebar right now!) The original post was from November 2014. Its great to see what posts from you were most popular and viewed in 2015! It' interesting to see which ones were the most popular. Not always the ones I would have expected. I can see why the glitter heart placement was visited so much. I love that mani! 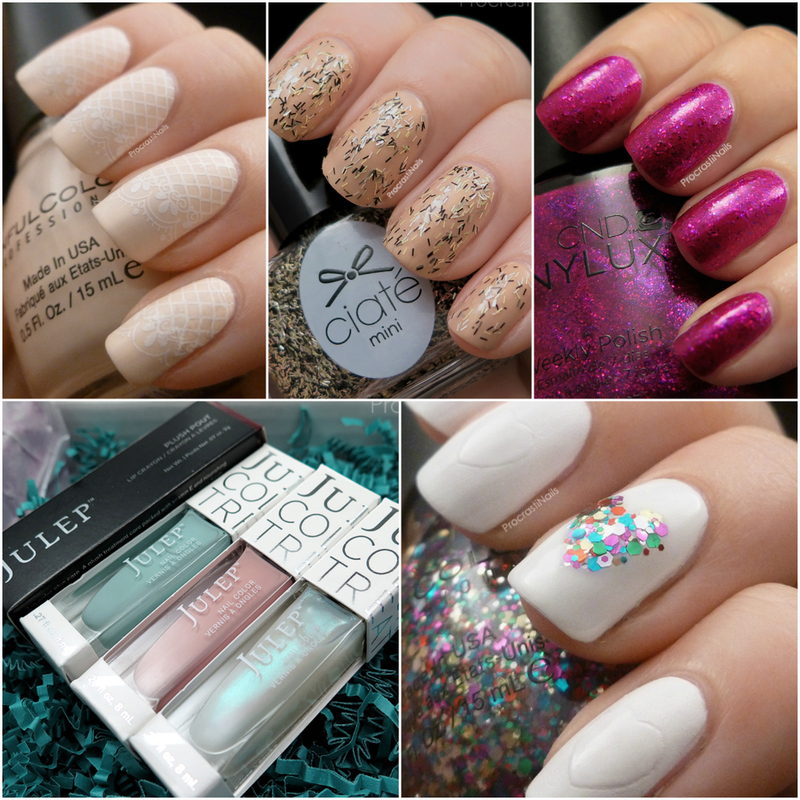 That lace stamping was gorgeous and I love the glitter placement one too! It's always fun to see what posts people like!